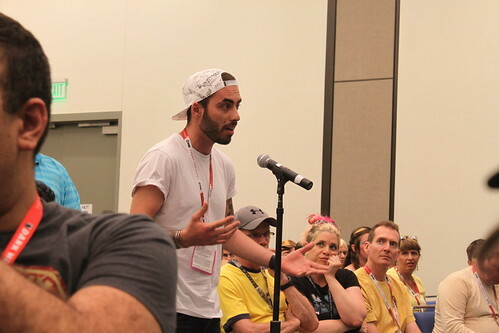 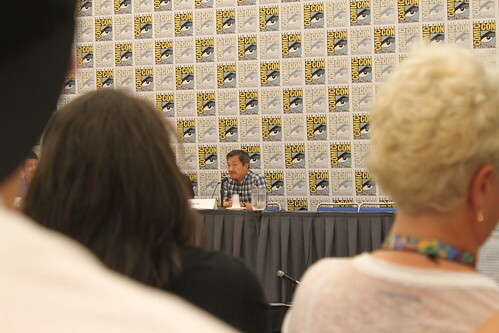 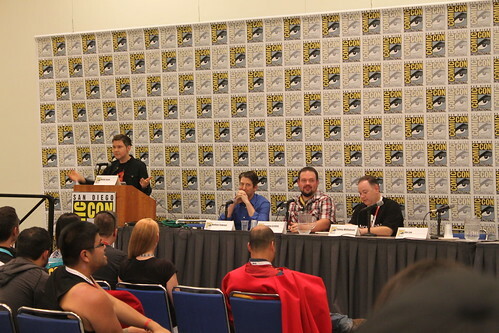 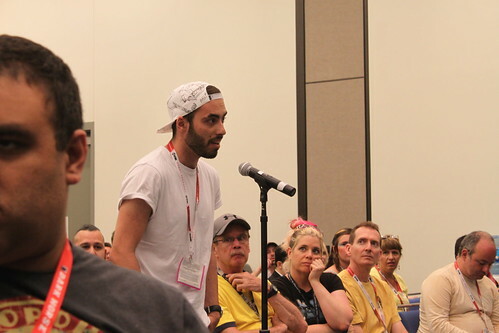 It’s been almost a week but I’ve finally had some time to do a recap on the first day of San Diego Comic Con 2015. 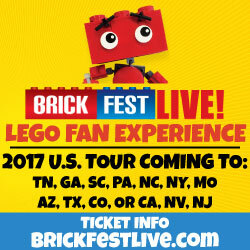 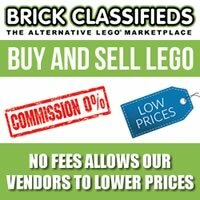 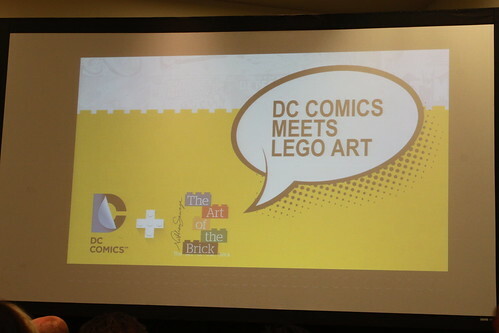 This recap is mostly about the LEGO-related events and stuff during the first day of the convention. 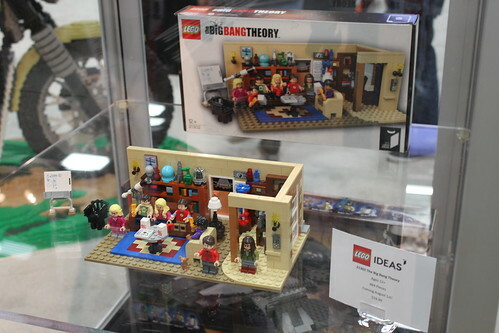 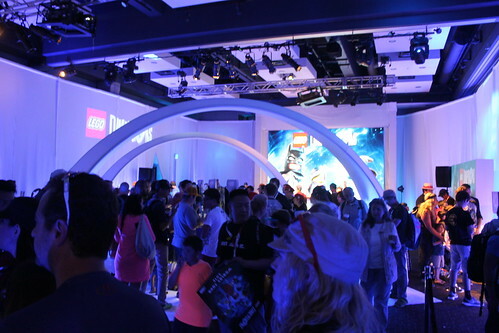 The LEGO booth was at the same place as it has been for the past couple of years. 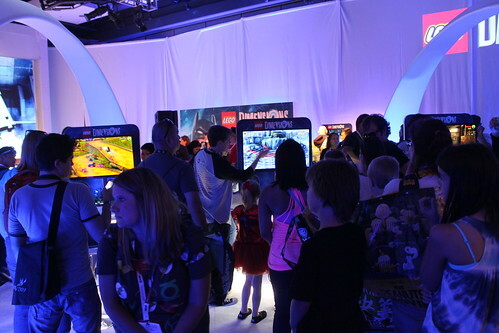 Inside the booth was a play area where attendees could build whatever they want. 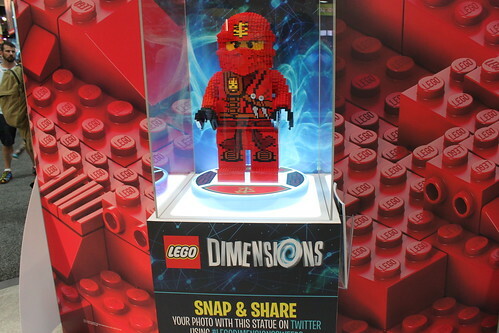 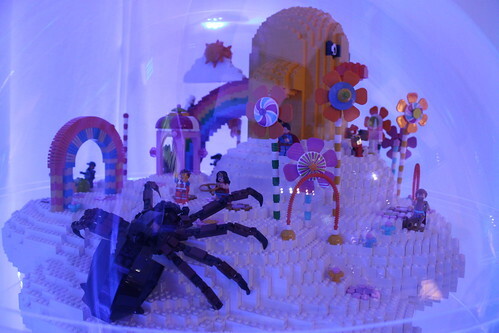 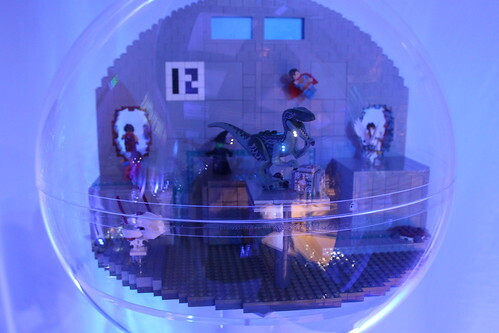 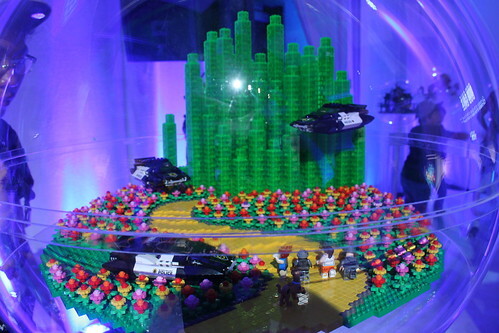 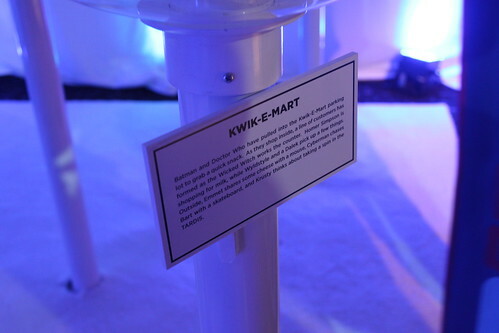 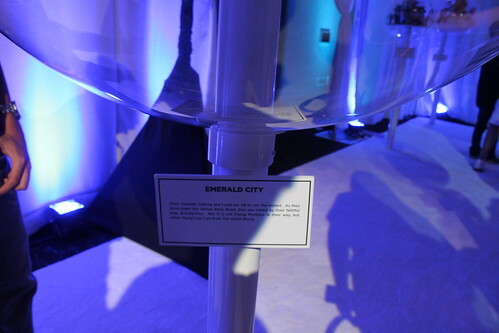 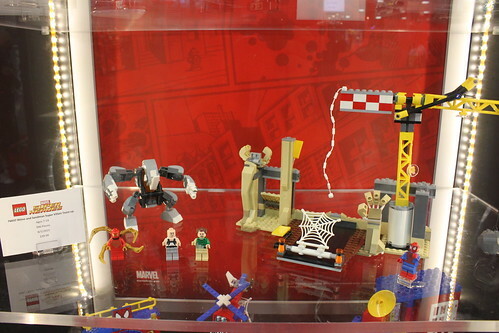 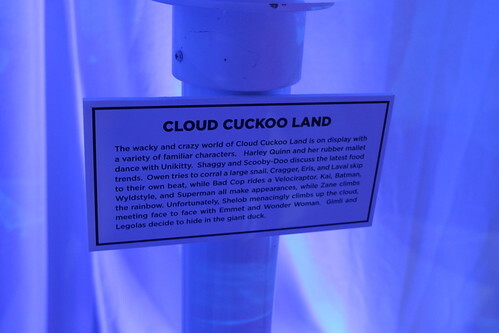 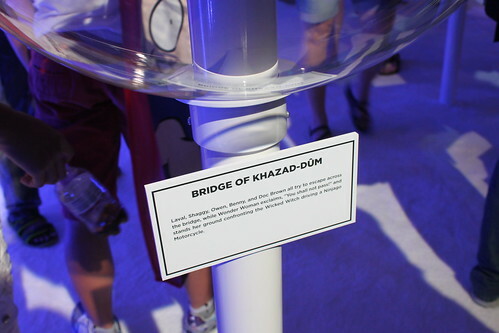 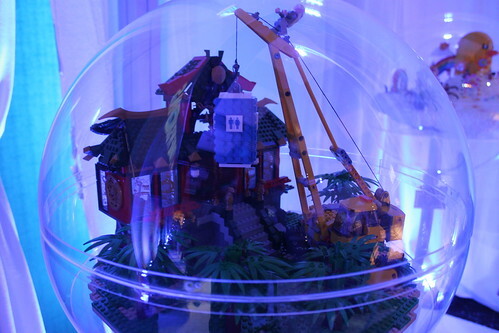 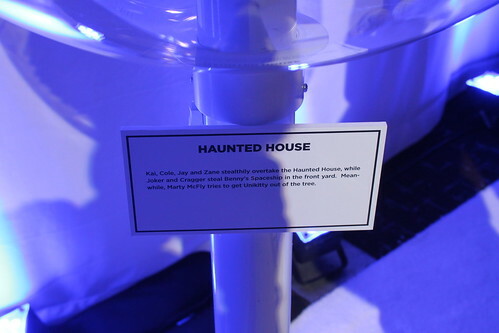 There was also little builds that were put up on the showcase. 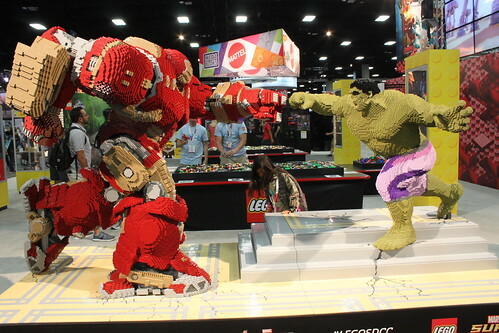 One of the main attractions at the booth was the life-size Hulk vs the Hulk Buster piece. 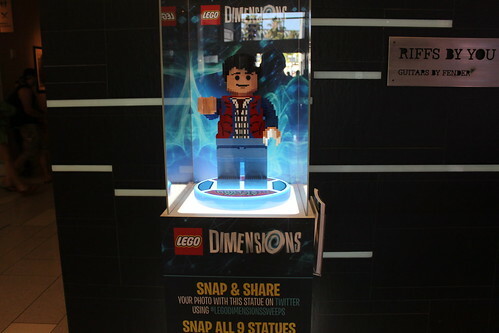 Spread out around the convention were these larger LEGO Dimensions characters that you could take a picture and enter a contest. 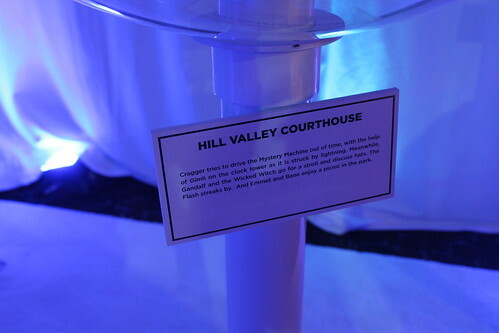 I believe there were nine total but I didn’t have time to find them all. 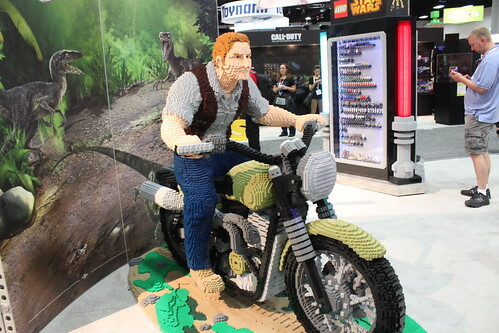 Some other life-size models that were on display was Chris Pratt’s character in Jurassic World, Owen, and Morro rappelling down a rope. 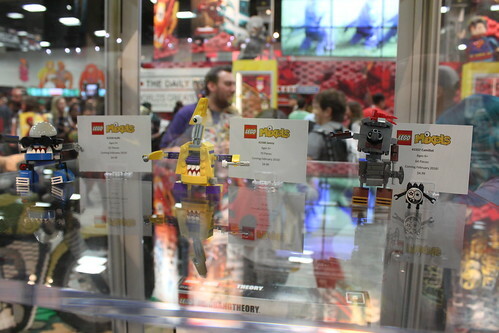 There were some LEGO sets on display like the LEGO Ideas The Big Bang Theory (21302), the LEGO Star Wars Sith Infiltrator (75096) which is a Toys R Us exclusive, LEGO Star Wars Buildable Figures, and a couple of the summer wave of LEGO Super Heroes sets. 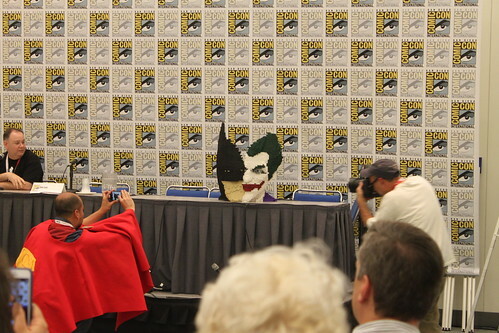 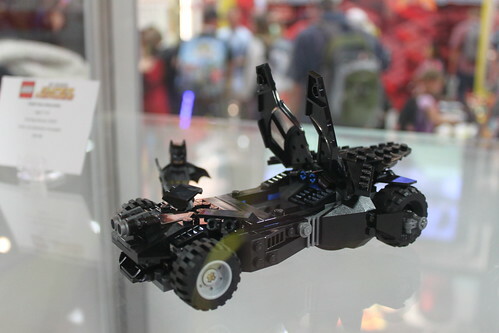 The reveal for the first day of SDCC 2015 was the LEGO DC Comics Super Heroes Batman v Superman: Dawn of Justice Batmobile (76045). 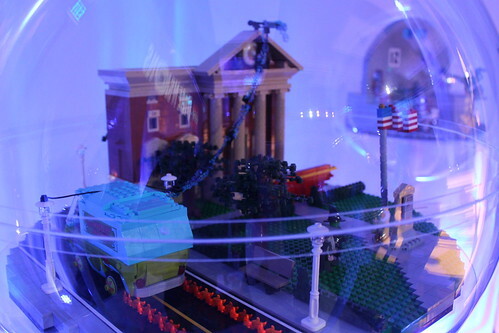 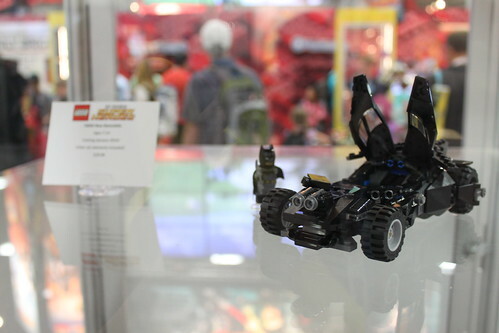 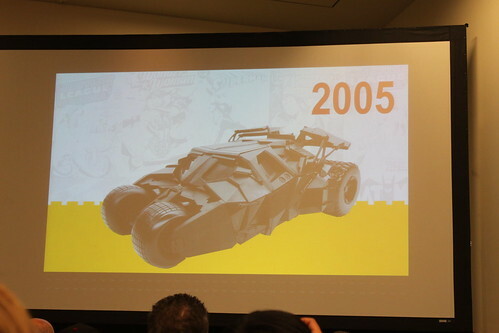 LEGO didn’t reveal the whole set but just the Batman minifigure and the vehicle. 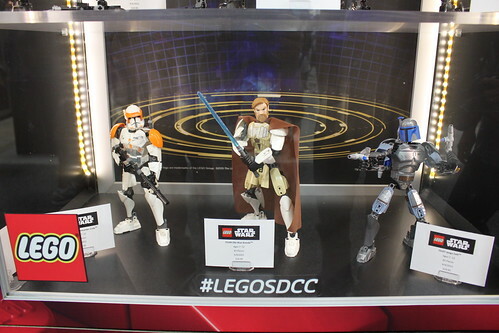 The set will be available in January 2016 and will retail for $29.99. 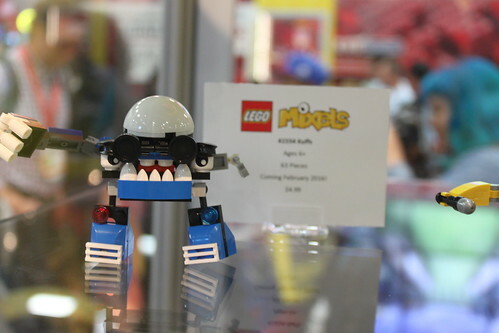 Another new reveal were the Series 7 LEGO Mixels. 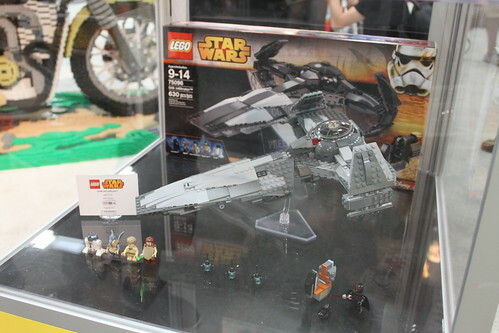 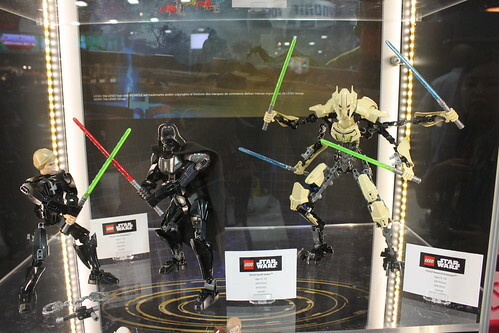 There are three new tribes and one character from each were displayed. 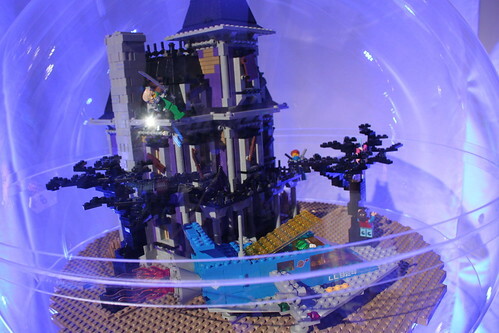 We have Camillot (41557) from some sort of Castle tribe which has 54 pieces. 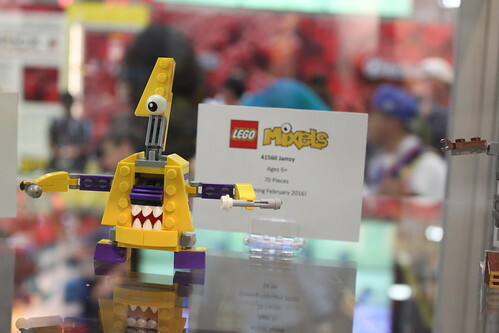 Next up is Jamzy (41560) from a Musical tribe coming in at 70 pieces. 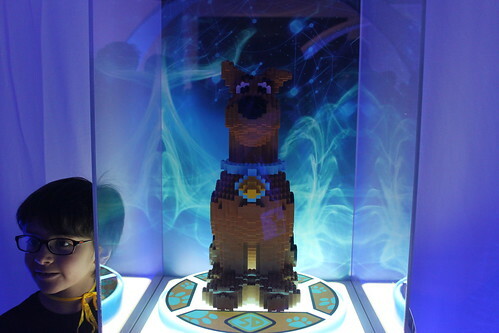 Finally, there was Kuffs (41554) which has 63 pieces and it looks like it’s from a Police tribe. 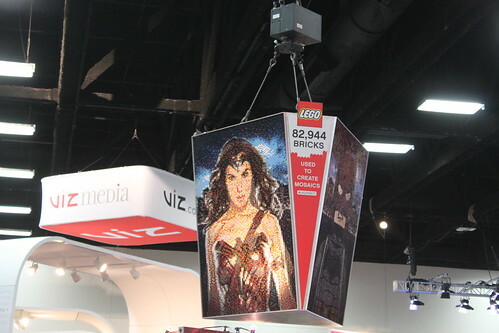 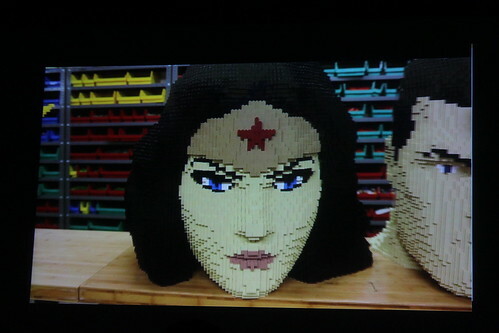 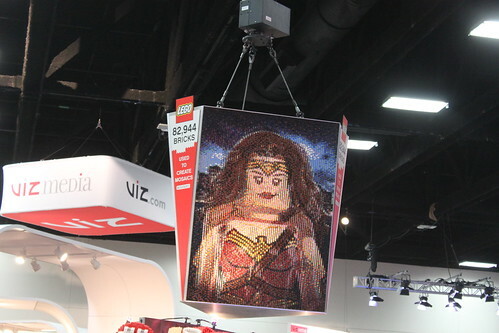 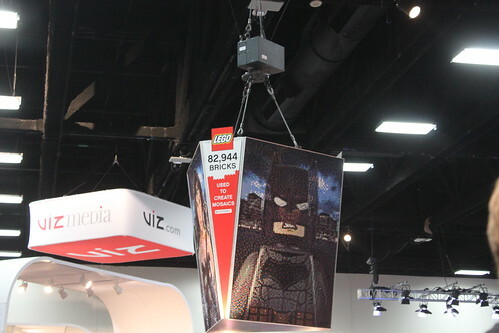 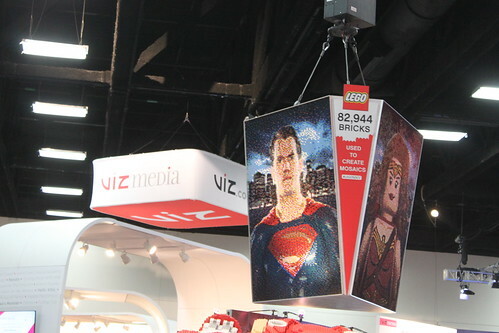 High above the LEGO booth was a rotating mosaic featuring Batman, Wonder Woman, and Superman from the Batman v Superman movie in LEGO form. 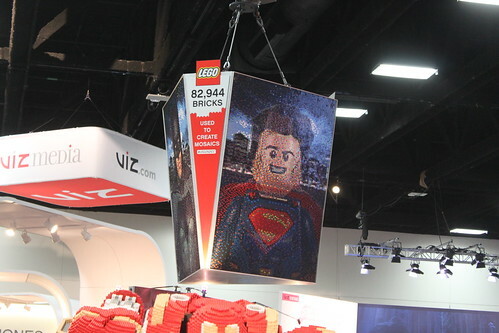 What’s cool about the mosaic is that it’s lenticular so when it moves, you can see the real-life actors also in LEGO form with Ben Affleck, Gal Gadot, and Henry Cavill, respectively. 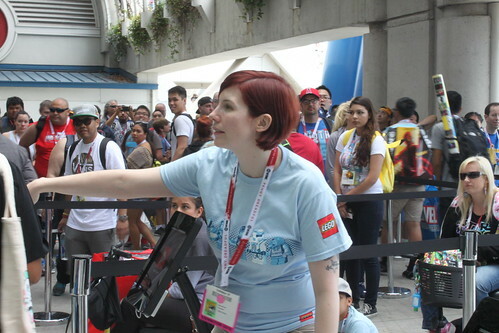 Around 10am, I started heading out to the Sails Pavilion to line up for the LEGO minifigure giveaway. 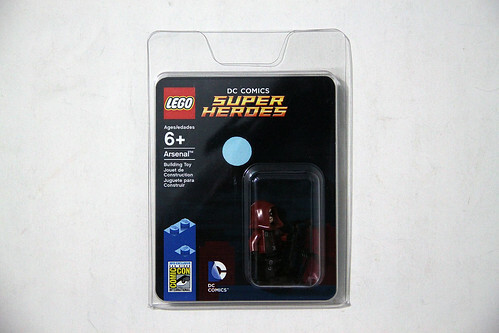 For Thursday, it was for the LEGO DC Comics Super Heroes Arsenal from the Arrow television series. 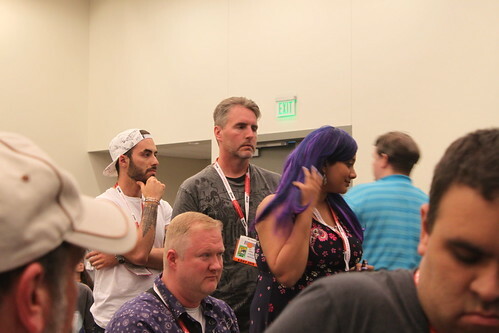 As you can see from the background, the line was packed. 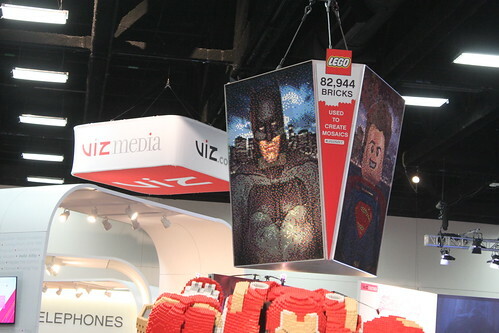 I think this year, the lines were as longest as it has ever been. 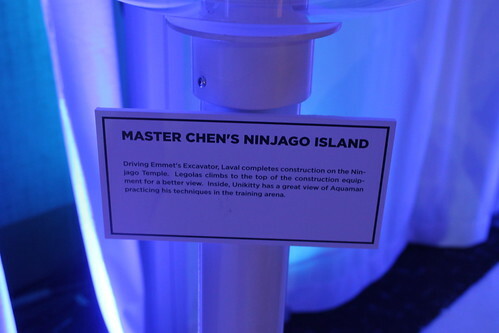 I also commend the guy who appeared out of the bushes to try and purchase the Arsenal that I had just won. 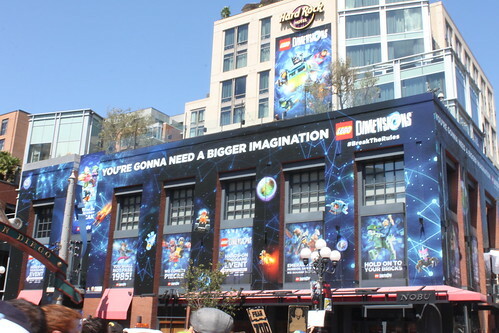 In the afternoon, I headed off to the Hard Rock Hotel where LEGO Dimensions was set up at. 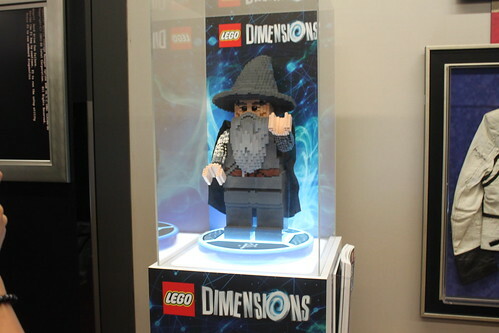 There you try out the game and you get to see some of the builds that were created as part of the LEGO Dimensions promotion. 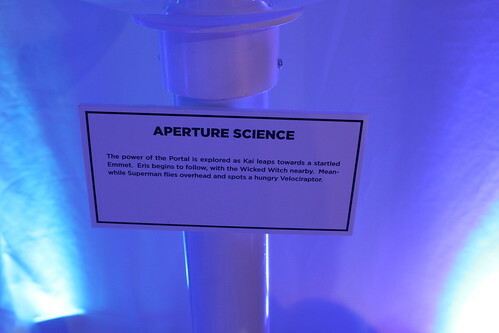 If you tried out the game, you get to take home a cool little Portal 2/Doctor Who poster which you can see at the end of this post. 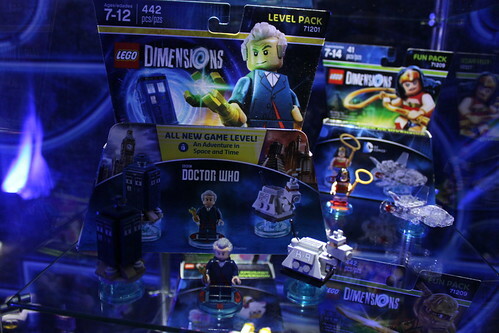 Also, if you pre-ordered the Starter Pack at the GameStop area, you also get to take home a neat LEGO Dimensions shirt. 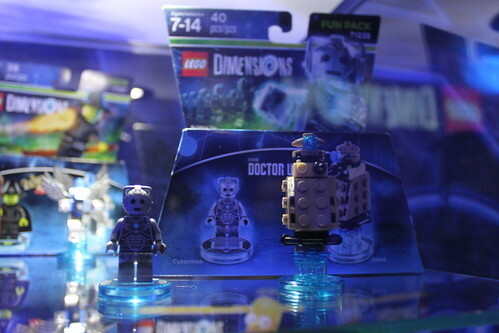 I didn’t pre-order the Starter Pack but the Doctor Who Level Pack (71204) which I bargained to get the shirt. 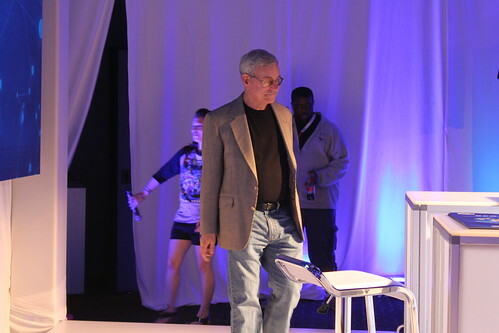 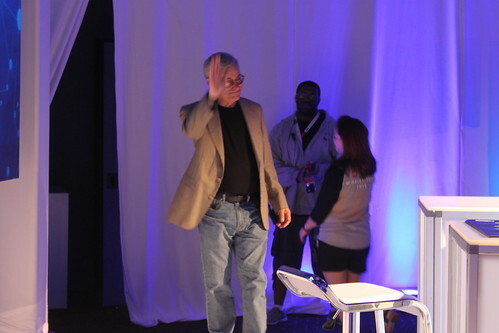 On hand at the area was Back to the Future writer Bob Gale who signed some posters for some lucky fans. 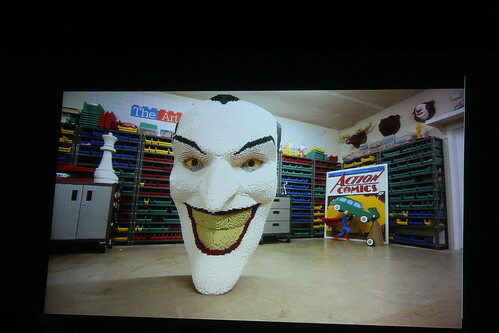 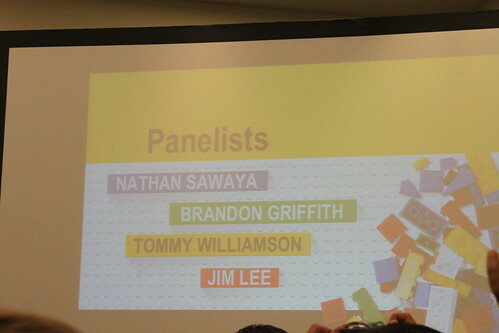 Finally, the last panel of the day for me was the DC Comics Meets LEGO Art which consisted of Nathan Sawaya, Brandon Griffith, Tommy Williamson, and special guest Jim Lee. 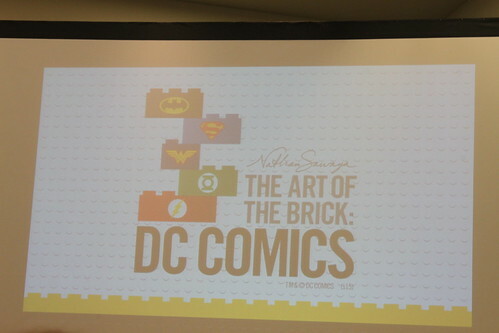 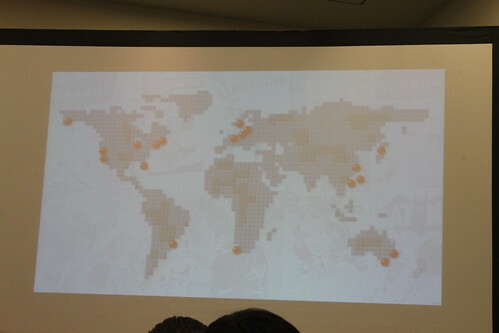 The panel pretty much talked about Nathan’s new project to create DC art and doing a world tour for it. 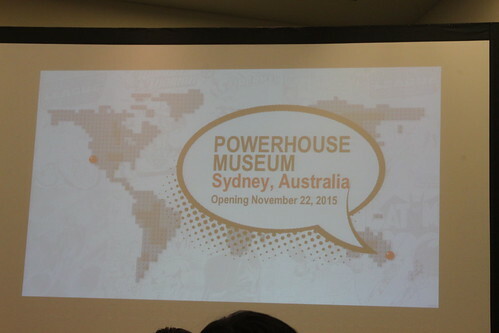 The tour will open at the Powerhouse Museum in Sydney, Austrailia on November 22 and the tour will be taking place in many cities around the world. 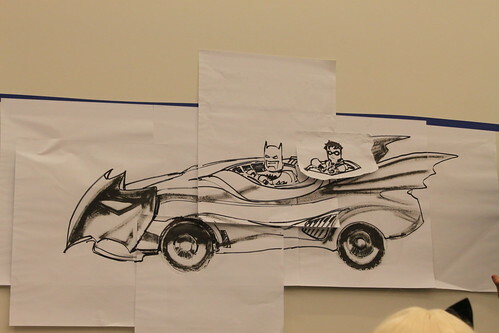 Hopefully, it can be here at Comic Con next year but we’ll see. 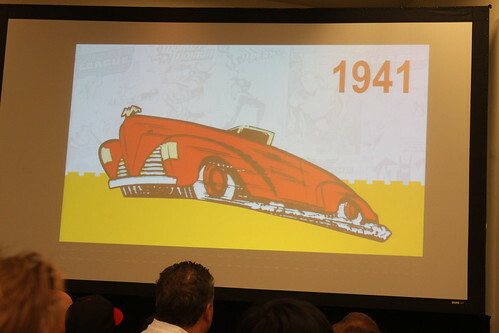 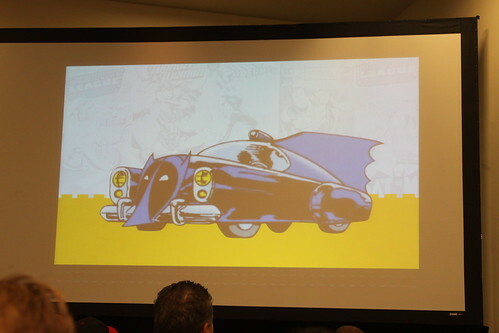 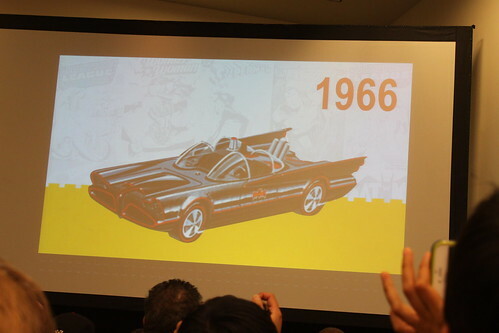 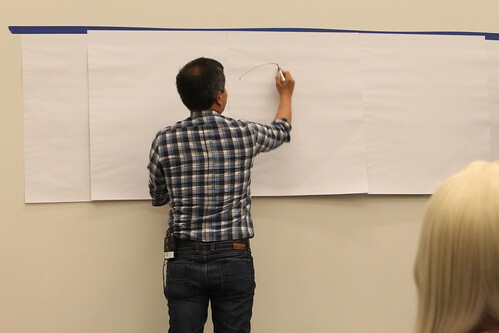 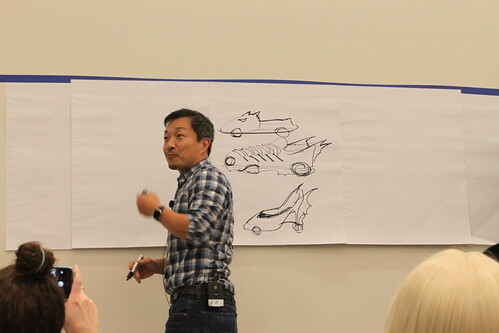 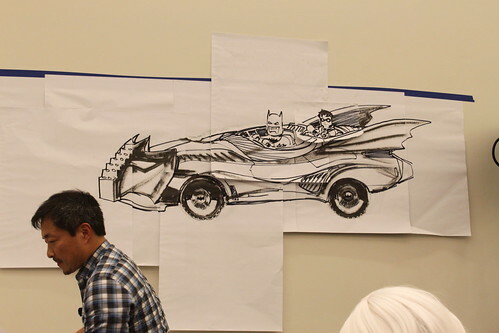 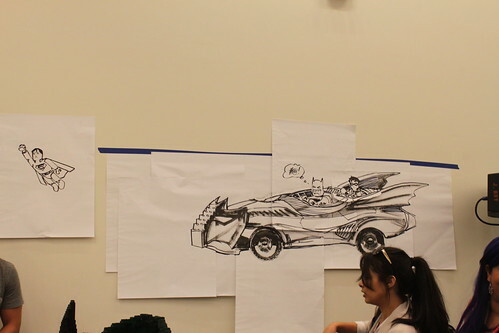 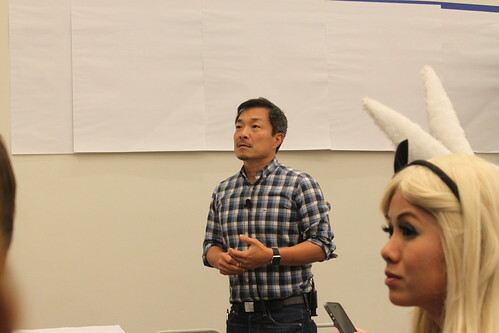 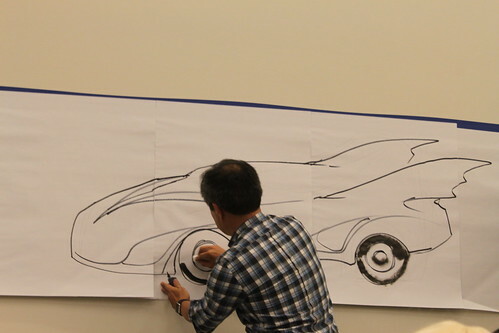 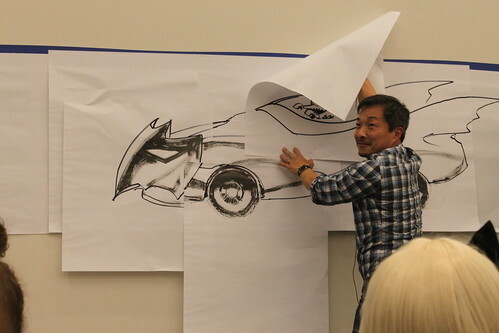 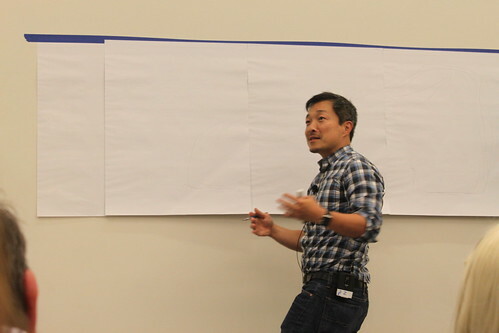 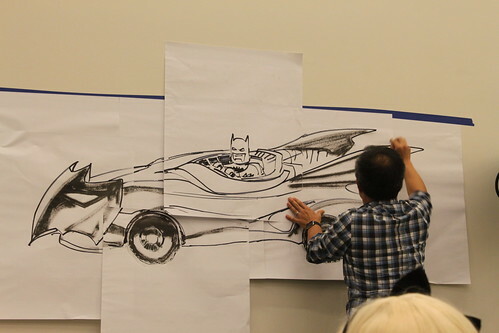 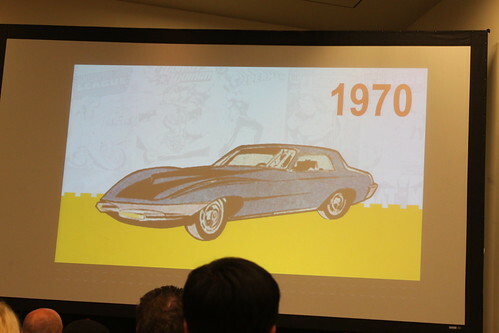 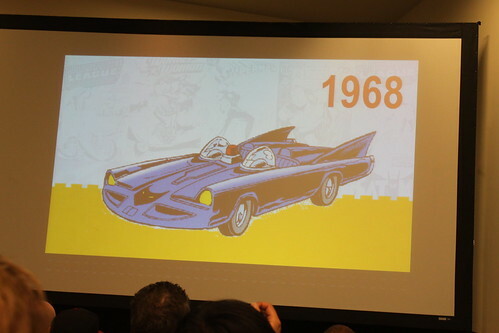 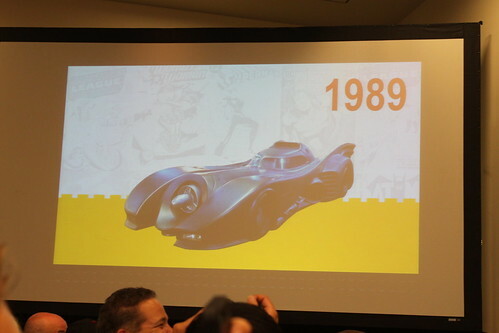 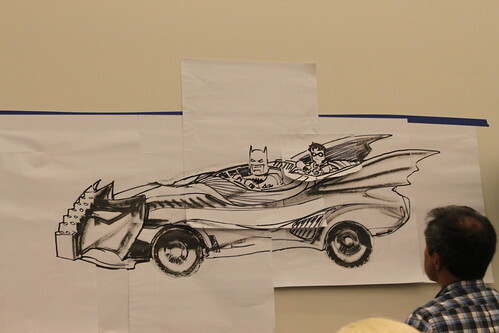 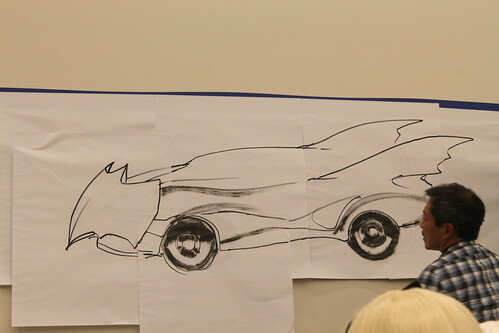 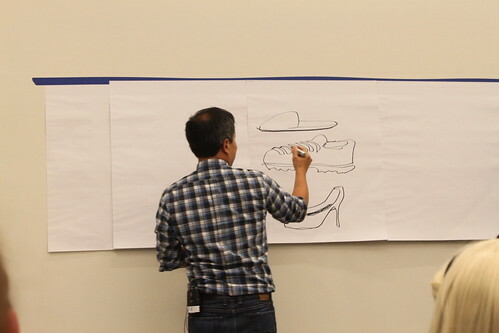 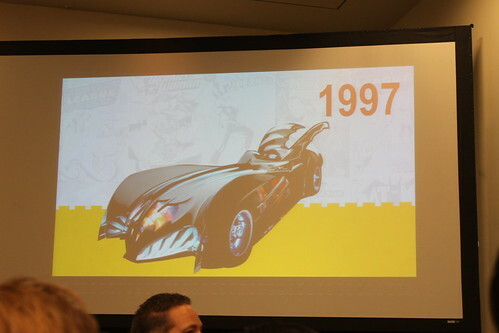 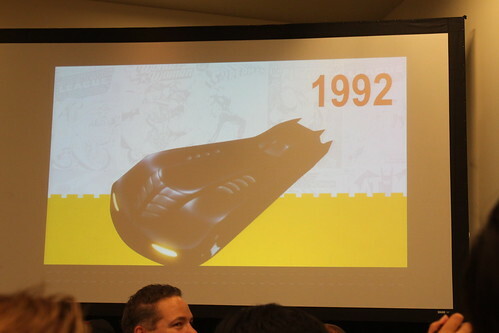 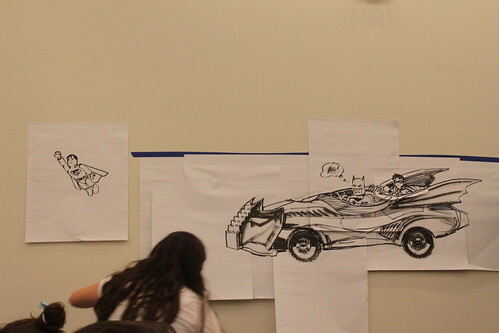 In the middle of the panel, Jim Lee did an impromptu drawing of a Batmobile with suggestions from the rest of the panel and the audience. 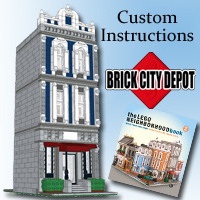 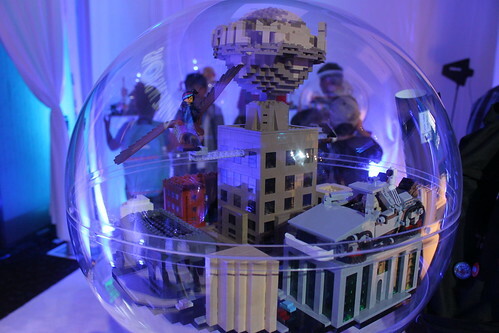 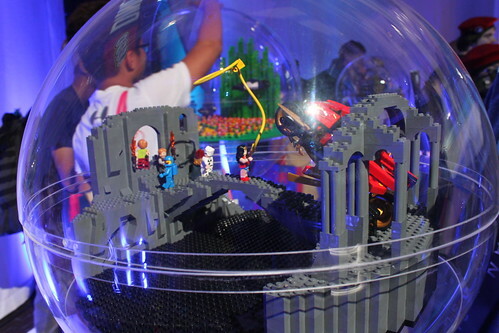 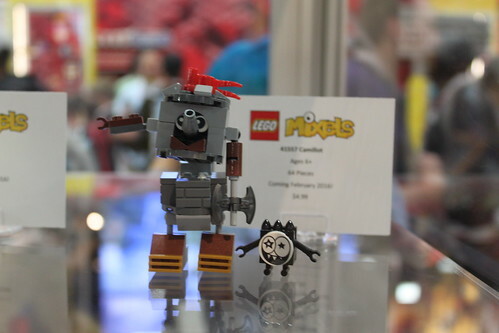 If you look closely at the images below, you can see a special appearance by LEGO designer, Marcos Bessa. 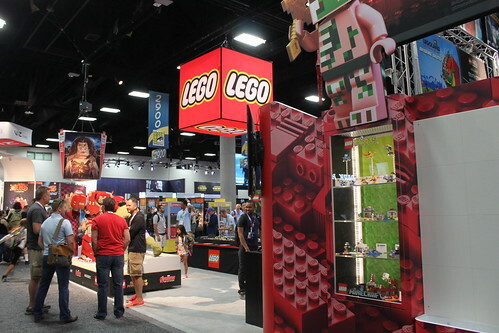 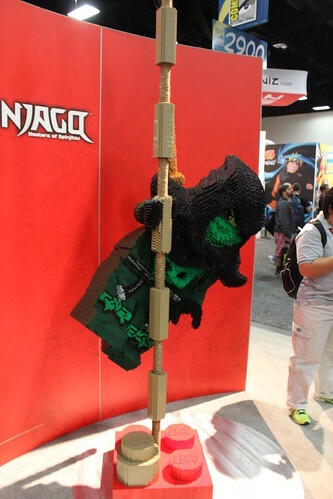 Overall, the first day of SDCC 2015 was pretty eventful given all the LEGO-related things happening throughout the day. 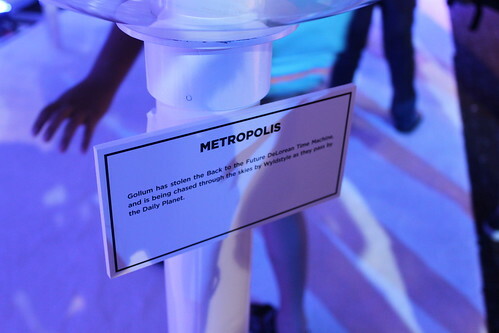 There was so much to see but even with 10 hours, I wasn’t able to see everything I wanted to. 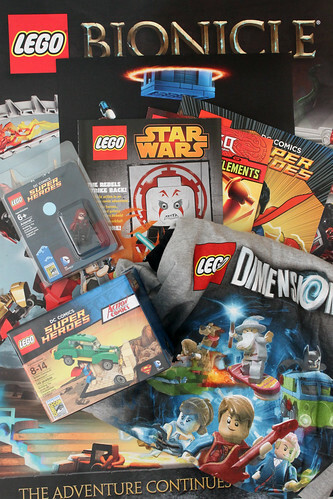 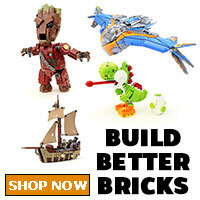 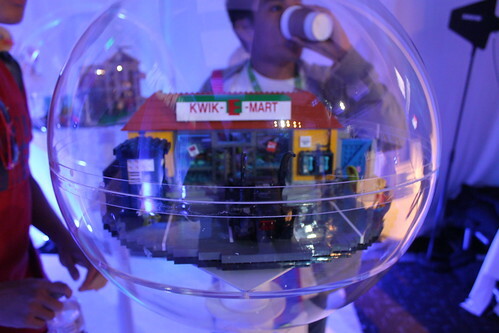 I did manage to get a lot of LEGO swag as you can see in the image below. 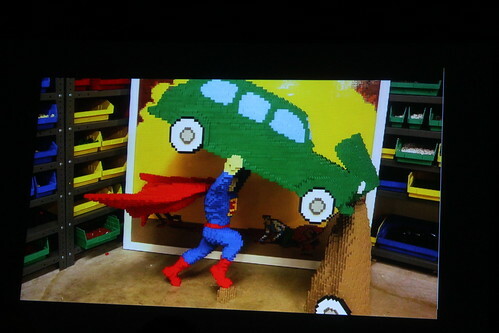 The best item out of the pile was the LEGO DC Comics Super Heroes Action Comics #1 Superman set given to me by my friend which I’ve given the instructions to create your own. 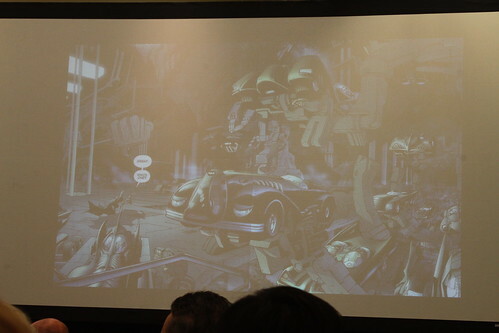 SOme other neat stuff was the comic book illustrated by Paul Lee and the large LEGO BIONICLE poster. 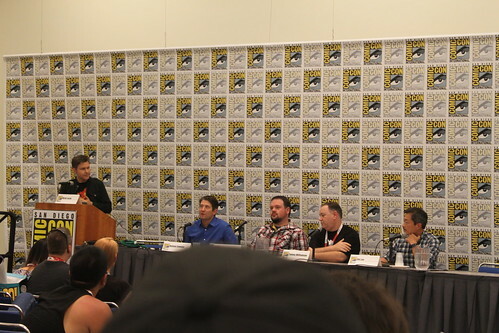 Stay tuned in the next couple of days when I do a recap for the second day of SDCC.